How Do I Hold a Note Longer? The solution I feel many teachers would give for this question would be to “use more air” in order to create a longer note. While I agree that the breath is important in this aspect, I’d argue that it is more about how you use it than the amount that’s used. If you have good cord closure (in other words, the vocal cords are vibrating close together and no extra air is escaping while singing), you can sing infinitely longer on less air. So, the first thing that must be done is to get rid of any air that might be escaping by zipping up those cords. As a side note, if the note you’re holding is a high note (lets face it, it often is), it can be much more difficult to hold. To achieve this, your vocal mechanism must be relaxed with as little unneeded tension as possible (preferably none). 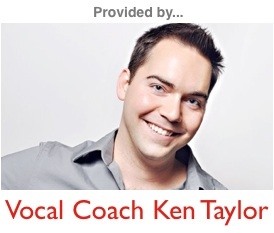 Check out How to Sing High Notes for more help with that! You can test to see if your tongue is tensing up by pushing your thumb up underneath your chin where the bottom of your tongue would be. You’re tongue is a muscle just like your bicep, and it hardens when it’s tensed, and becomes less resistant when it’s not. If you feel your tongue tensing up on you, you can massage right under your chin while singing to help loosen it up. Hopefully this will help you get rid of unnecessary tensions that make holding a higher not for a longer period of time difficult.Hope this helps and good luck holding those awesome high notes!